Beef prices look likely to remain firm on the back of a tight supply of cows and calves in the chain, according to Stuart Ashworth of Quality Meat Scotland (QMS), who spoke at a series of beef meetings held at four of Scotland’s Marts, including Stirling Agricultural Centre. At the events organised by Bank of Scotland, Keenan and QMS at Thainstone, Lanark, Dingwall and Stirling auction marts, local farmers heard that the Scottish beef herd is very challenged following high culling rates. “There is little prospect of significantly more cattle appearing over the next couple of years so the tight supply will remain,” he said. Mr Ashworth suggested that the supply and price dynamics are also likely to be affected going forward by low animal numbers in many parts of the world, for example numbers in the USA, one of the world’s biggest beef trader, are significantly down on stock as a result of the drought in 2011. The audience consensus was that the supply and price equation certainly points to opportunity for those with cattle to fatten and finish, as well as those selling stores. However the high price of feed is still a big concern as is the outcome of the CAP reform, which is making many reticent to invest in upping cow numbers. 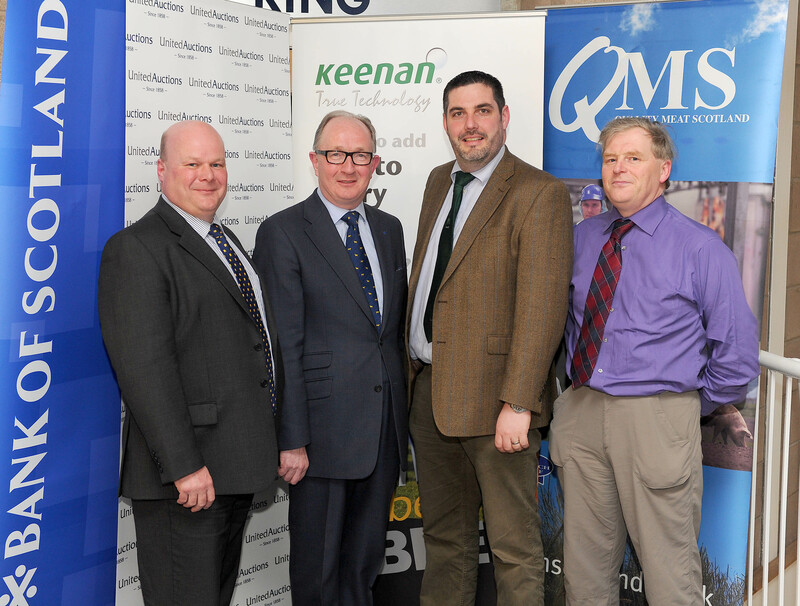 The Bank of Scotland and Keenan focused their discussions on the need for improved efficiency in production to give the confidence that good margins can still be made independent of the single farm payment. “The rise in beef price since August 2009 has been 17%; over the same period feed wheat prices have increased by 76%, so what can farmers do to capture the value that we’re seeing in rising sale prices, whilst insulating yourselves from these increases in input costs?” Sandy Hay from the Bank of Scotland asked. Stuart Ashworth concluded that there is certainly opportunity for beef producers going forward, but the one thing that would give them the confidence they need to invest for the future is improving their production efficiency.